Have you been trying to get healthy? Are there habits you’ve been wanting to change but are struggling to do so? Do you know that you could eat better but just haven’t been able to make that change? Maybe you want to decrease the amount of sugar you consume, or coffee? Or you have committed to going to the gym or yoga studio but just don’t get yourself there? Perhaps you feel overwhelmed by life and just want more energy…and more sleep. 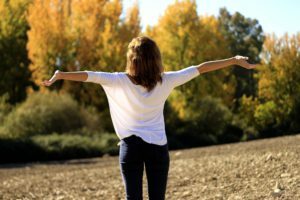 Whatever you want to change, Holistic Health Coaching provides a supportive environment with feedback, suggestions and accountability to help you make the changes in your life that you crave. Help you reach your goals by supporting each baby step in that process. Assist you in figuring out what is right for your body. Be a bridge between the recommendations of your health professional and what actually happens once you get back home. Meet regularly with you over a period of time to create lasting change. Provide you with supporting materials and additional information on your topics of concern. 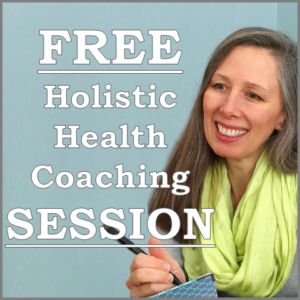 A Holistic Health Coach is not a medical practitioner, certified dietician, or nutritionist and does not diagnose or treat illness or disease. That said, there are so many things that people can do to improve their health but don’t because it is hard to do it alone. Examine what you are eating and address healthy changes (this might include reviewing nutritional guidelines and/or keeping a food diary for a week or two). Identify blocks to making changes. Help you create routines to make changes last. Explore all aspects of life that might be affecting your stress levels and your ability to take care of your body. Sessions are 50 minutes long and usually by phone.